Theologian: How do we obey Jesus in today's world? Theologian: How do we obey Jesus in today’s world? Home » News » Theologian: How do we obey Jesus in today’s world? Did Jesus really mean for us to be good for this long? 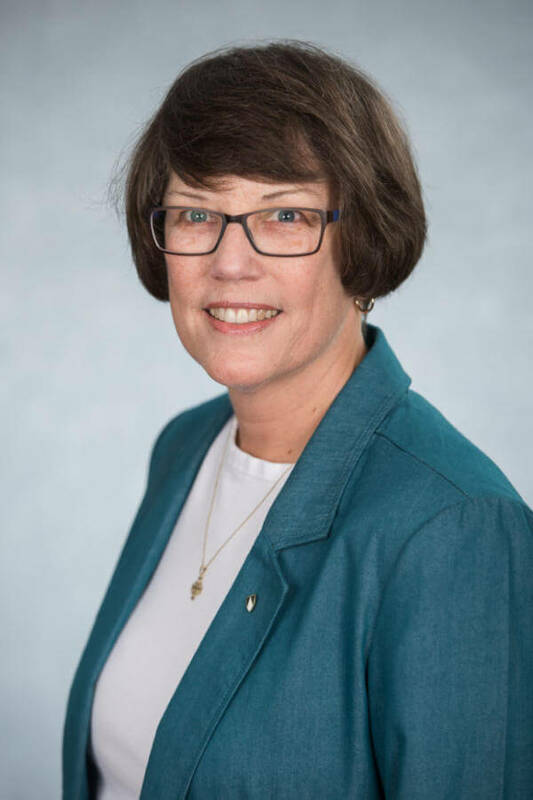 The Escobedo Saint John’s Bible Lecture Series presents professor Laurie Brink, O.P., Ph.D., who will explore whether Jesus’ words were intended to apply for more than 2,000 years, as we continue to wait for the Second Coming. How are we to live until Jesus comes again? Brink, who teaches New Testament Studies at the Catholic Theological Union in Chicago, will offer two presentations of her talk, “Interpreting Gospel Ethics in an Age of Polarization” – 4 p.m. Jan. 30 at St. Mary’s and 7 p.m. Jan. 31 at Holy Rosary Catholic Church, adjacent to the University. The Tuesday on-campus event will be held in Assumption Chapel in Reinbolt Hall. Those traveling to campus are asked to park in Lot V, off Camino Santa Maria; Lot D, near the NW 36th Street entrance; or Lot H, near the Culebra Road entrance. This lecture series is made possible by a gift from Distinguished Alumnus Ruben Escobedo (B.B.A. ’60) and his wife, Veronica Salazar Escobedo. Programs linked to The Saint John’s Bible Heritage Edition have a central theme of “Let There Be Light” because we believe the Bible leads to enlightenment and strengthens faith for all who witness it. The Saint John’s Bible is the first handwritten, hand-illuminated Bible to be commissioned by a Benedictine Abbey in more than 550 years, and its seven-volume Heritage Edition now resides at St. Mary’s University. The Saint John’s Bible was commissioned in 1998 by the Benedictine monks of Saint John’s Abbey and University in Collegeville, Minnesota. The Heritage Edition, valued at about $150,000, is a full-scale reproduction of the original masterpiece; each volume measures 2 feet tall by 3 feet wide when open. Only 299 sets exist; St. Mary’s was the first in Texas to own one. Rubén M. Escobedo (B.B.A. ’60) and his wife, Verόnica Salazar Escobedo, gave $500,000 in 2014 to create the Escobedo Saint John’s Bible Lecture Series Endowment. The gift allows for the recruitment of scriptural scholars, research and curriculum design, and other programming as St. Mary’s continues to move forward in establishing a Center for Catholic Studies. St. Mary’s acquired the Bible in 2013 through the generosity of John and Susan Morrison, longtime friends of St. Mary’s President Thomas M. Mengler, J.D. For more information, contact Robert O’Connor, Ph.D., at roconnor@stmarytx.edu or 210-436-3799 or 210-436-3213.